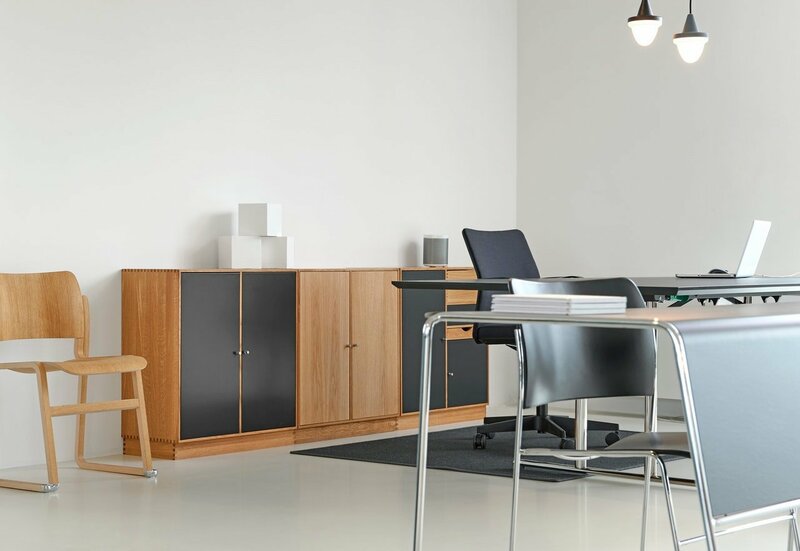 How to Find Homes For Surplus Furniture & Furnish an Office for Free. Warp It are pleased to welcome the wonderful Ashley Scotland, founder of Thriving Survivors, a charity for the brave survivors of trauma. 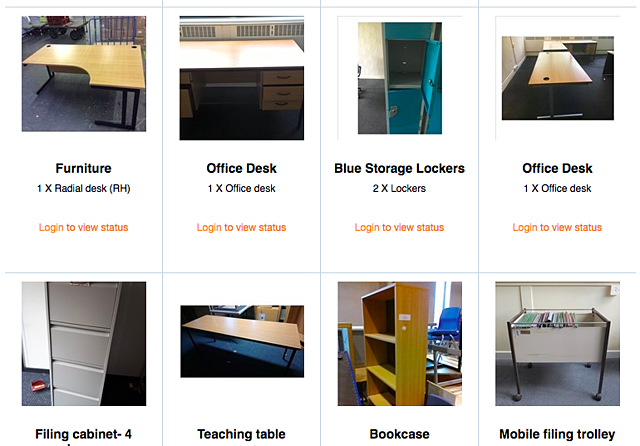 Ashley, who started the charity based on her own experiences and after seeing ‘big failings’ in Glasgow’s victim support services, has managed to kit out her entire office using furniture claimed on our online portal. Hey Ashley, so, how did you find out about Warp It? I actually came through the Glasgow Social Enterprise Network. Elizabeth McKenna ( Director of GSEN) had dropped me an email and it was actually about the Christmas lights in George Square (Glasgow). I knew that the lights were on Warp It, but unfortunately the building that I’m in is listed, so I couldn’t take them. This connection did lead to me kitting the boardroom out, as well as the reception, my own office, the staff office and our staffroom. Every single bit of it was from Stirling Council, all of the desks and chairs we’ve got in our office came from them, which was fantastic, absolutely invaluable to us. Why was it invaluable to you? Well, you know that we couldn’t possibly have afforded to be able to go and buy new. I think we got 30 desks and 18 swivel chairs as well, on top of all the filing cabinets. You know these things cost a lot. If we’re saying a desk is £100, we’re looking at thousands and thousands of pounds worth of stock that we couldn’t have funded ourselves. It did us a massive favour, we were in the right place at the right time. What would have happened if you couldn’t have got those desks? Would it have affected your operations? Oh, it would have certainly set us back. As it stands, we got the property in October, and by mid-October I had it fully kitted out. It took less than a fortnight, and the cost of two days van hire! The support that we received from using the Warp It service was absolutely invaluable to us. For the benefit of other charities who might be reading this, what was the process? How easy was it? How did you go from not being on Warp It, to getting set up on Warp It, to then actually meeting someone from Stirling Council and getting their stuff? It was really simple. I really couldn’t believe how simple it was! The whole process, from registering for free as a charity, to then going on and having a look, it’s almost like shopping, it’s great! For a bargain hunter like myself, it was like, “Wow, this is awesome”. It was such an easy process, no mind-boggling forms or anything like that. It sounds like you have quite a big office? It’s a mansion we’ve moved into, and we’re fortunate enough that as a charity, we got the mansion rent and rate free. We’ve got two big flats within this mansion, and I kitted out the entire office, both sides, from Warp It. That’s brilliant! What was the operational procedure like? You said you hired a van, but there’s more to it than that, right? Well, at some point I roped in all my volunteers. Anyone that could lift a chair or a filing cabinet was roped in. At that point we literally emptied the vans and moved in from there and got everything in place. I’ve never had an office before, I went from hot-desking, to having a building! It’s been quite chaotic, but a wonderful, easy and quick process. What advice would you give to other charities if they were in your situation five months ago? Be patient. There is something out there for everybody. Don’t look past the fact that things are free. People seem to think that if it’s free, it must be rubbish. The quality of the assets we received was great, the stuff was in mint condition. Not one piece came to us damaged or broken, it was fantastic! And is there anything you would have done differently if you could go back in time and change it? Well, I wish I’d done it months before, but like I say, I think we were in the right place at the right time. Thank you so much for your time and great words Ashley! If you want to support Thriving Survivors, visit their website here and learn about how you can get involved or donate. Interested in learning about the Glasgow Social Enterprise Network? Click this link. If you are a charity looking to take advantage of our free service, please sign up to Warp It here. Use our templates to save time and get ideas! Here's our newsletter promise and how you will benefit. By entering your email you expressly consent to receive our newsletter monthly and other material related to Warp It Reuse Network.